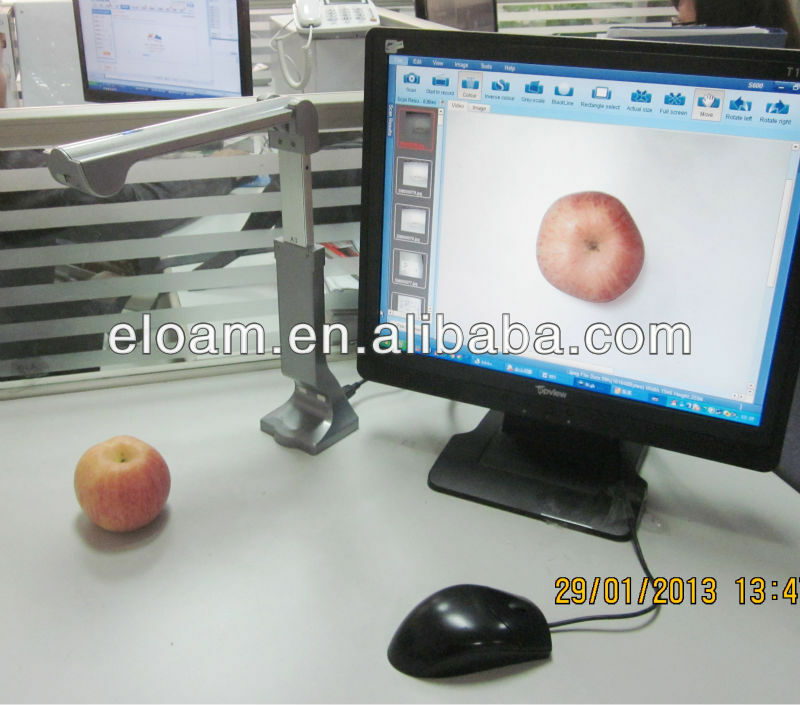 S600 adopts 5 million HD camera, achieve scanning A3/A4 files and other smaller size ,such as cards, pictures etc. 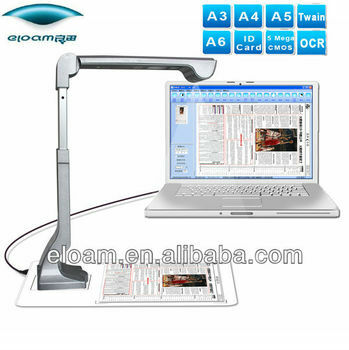 It uses lift and fold design, which is quite convenient to carry and fit for mobile working. 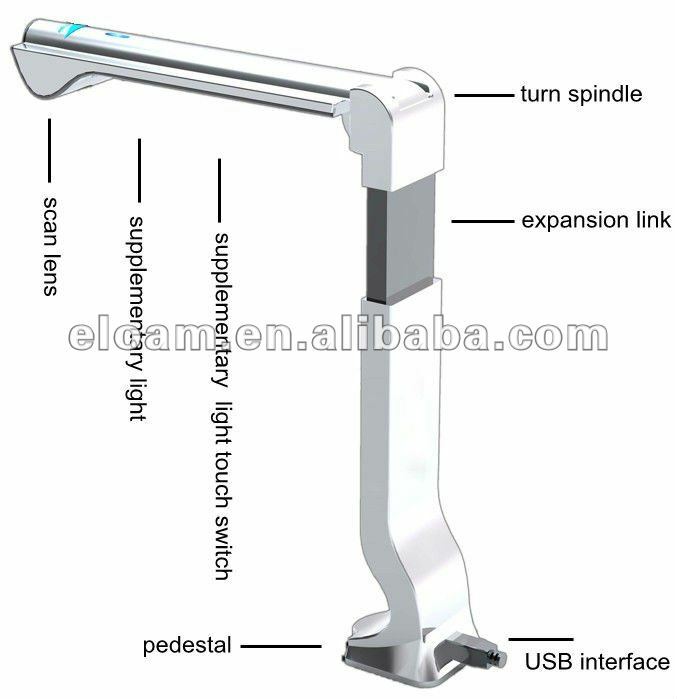 High-power, high brightness LED and cambered astigmatoscope make the light spread evenly, manual focus creates HD image easily. 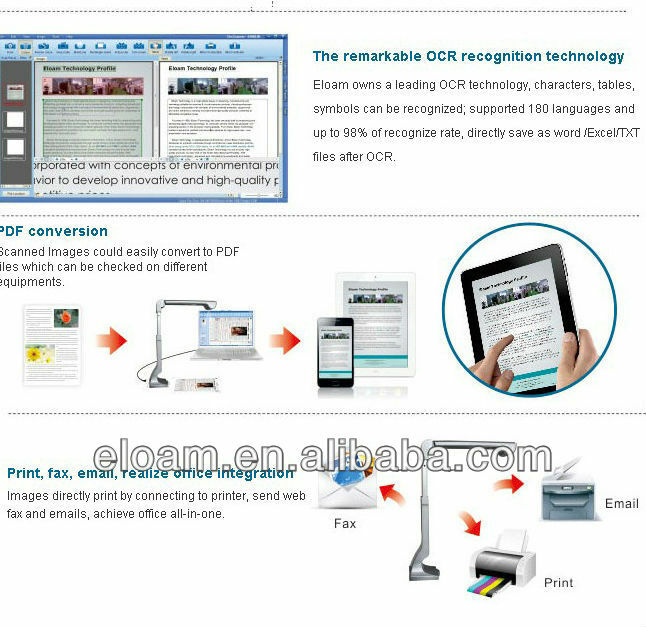 Eloam document scanner possess the advanced OCR technology by which more than 180 languages, tables; bars, C++. Java and other special symbols can be recognized through automatically analyzing the sections. 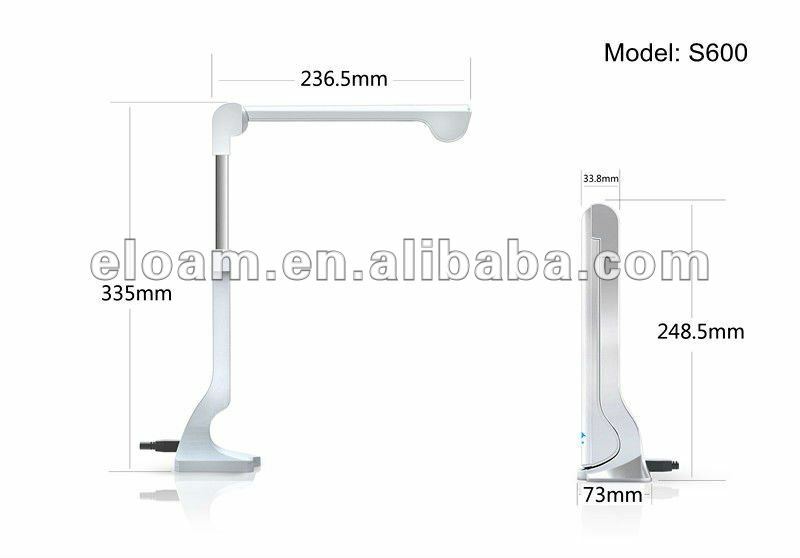 The recognition rate reaches up to 98%, supporting the mixed recognition of multi-language, character, and numbers with the same layouts results as original images. 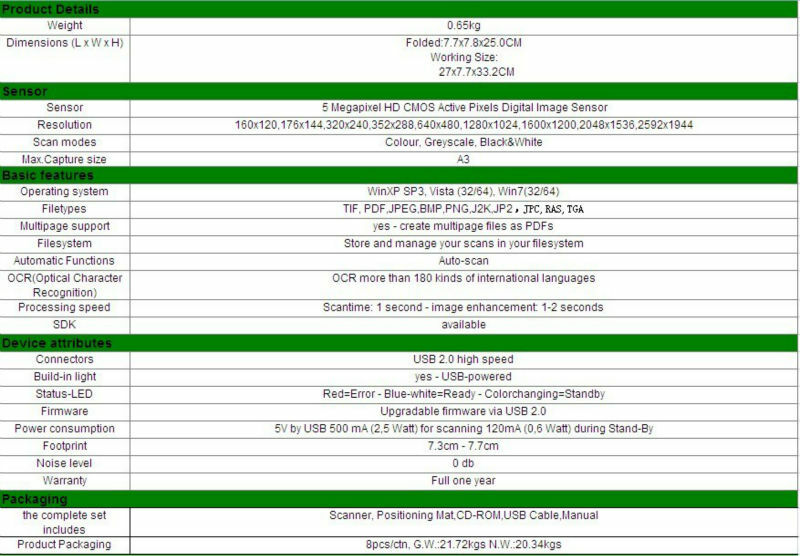 OCR documents can derive directly to word or excel format..
3.Portable:Folding designs and and ultra-lightweight. 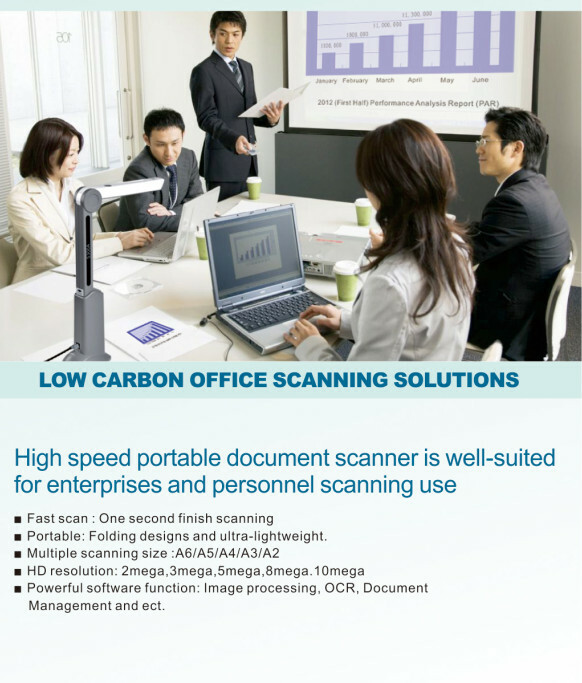 6.Powerful software function:image processing,OCR,document management and etc. 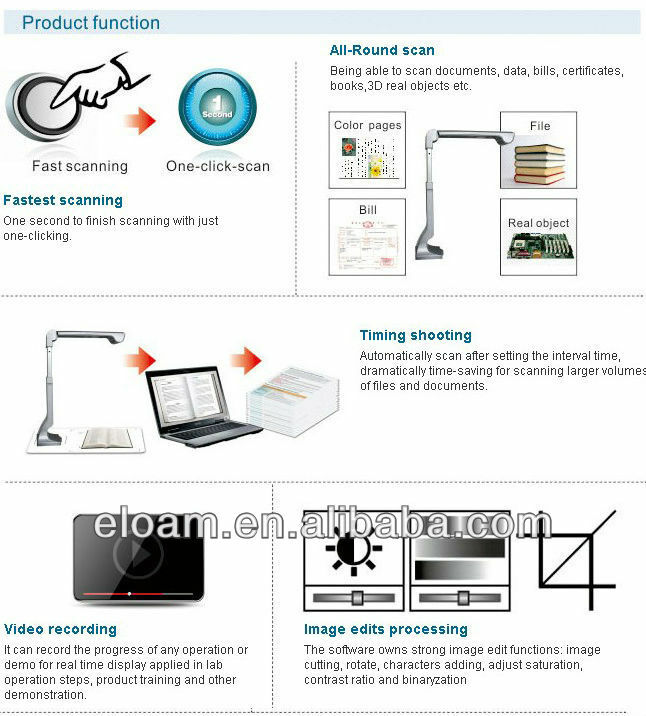 Founded in 2005,Shenzhen Eloam Technology Co., Ltd is the No.1 high speed portable document scanner and document camera supplier in China, which is a professional IT peripherals, School, Home & Office Products manufacturer providing customized optimal manufacturing services and sophisticated products. 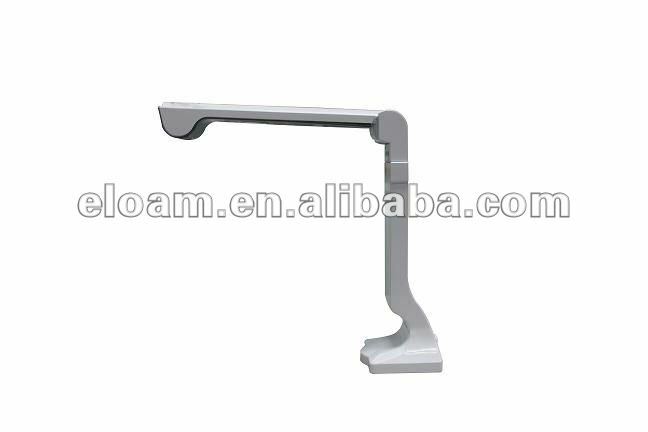 We keep adopting advanced technology incorporated with concepts of environmental protection, ergonomics and user’s behavior to develop innovative and high-quality products worldwide at affordable competitive prices.